Brilliantly embroidered in vivid color, this eye catching tote is detailed with grosgrain ribbon and bow trim. 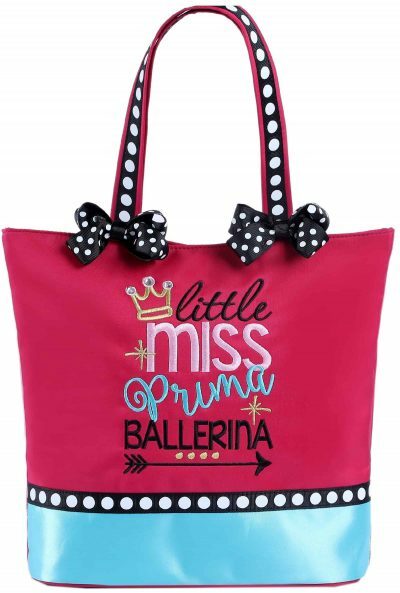 It’s perfect for every Little Prima Ballerina! Microfiber material wipes clean with a damp cloth. Can be personalized.